The abdominal Kick up is a great exercise to work the core. 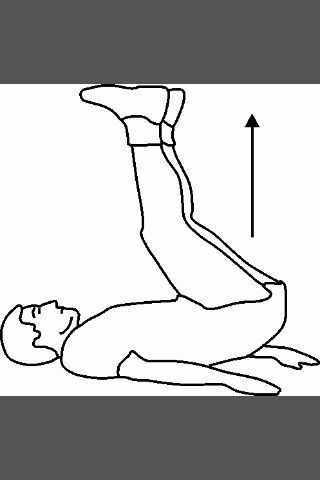 Start: to start lie on your back and with your knees fully extended, raise your feet so that your hips are bent at 90 degrees. Your arms should be flat on the floor and should be used to counter balance the movement. Movement: begin by pressing your arms into the floor and lift your hips off of the ground. Beginners should only Lift a couple of inches off but more advanced people can lift up to a foot off of the ground. Once you reach the top of the movement, pause and hold for a second. Finally, lower yourself slowly back to the starting position.